Late night TV is often worth tuning into to see some of the most buzzing artists perform during the musical segments. From Saturday Night Live to the daily talk shows hosted during the late hours of the night, late night TV is home to many of the year’s top televised performances. Some of the most unique showings usually take place on Jimmy Fallon’s The Tonight Show as he has the legendary Roots as a backing band for most artists. 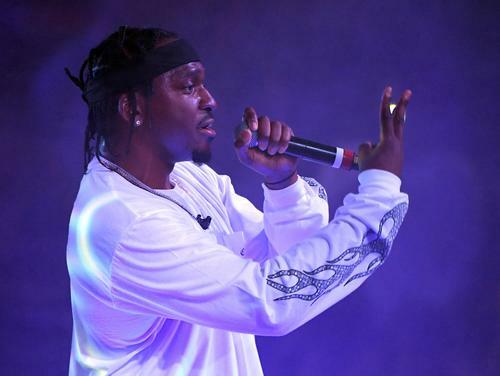 Such was the case when Pusha T posted up with 070 Shake for their performance of “Santeria” last night. The track is a clear standout on Pusha’s Daytona record, standing apart from any of the other mixes because of 070 Shake’s outstanding vocals. The track has helped to contribute to the breakout year Shake is having and this performance will only continue to help her rise in the ranks. With the G.O.O.D. Music crew doing their thing, The Roots provided backup vocals for Pusha and did their thing on the instrumental, spicing it up a touch and creating yet another unique rendition of the song. Of course, we don’t get to see the two perform the song together often since they’re usually off doing their separate things but Shake and Push complement each other here as well as on the studio version. Jimmy Fallon seemed particularly impressed with Shake’s vocals, approaching her before dapping up Pusha as they hyped up what the Virginia artist referred to as “rap album of the year.” Check out their performance below.